#29 Interview with Paul T. P. Wong, Ph.D.
Click here to download Interview with Paul T. P. Wong, Ph.D.
LogoTalk is honored and privileged today to have Dr. Paul T. P. Wong as our guest. 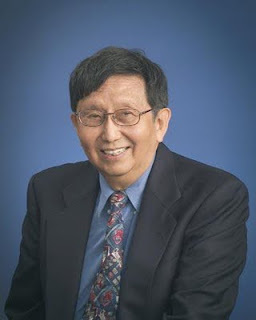 Dr. Wong is internationally known for his research on meaning in life, death acceptance, successful aging, positive existential psychology and meaning therapy. He has published extensively with more than 120 scholarly journal articles, 60 invited chapters and five books. Many of the papers have been reprinted in anthologies. He has given keynote addresses and workshops around the world. He has been interviewed and consulted by numerous television and radio stations, including CBC, BBC, ABC, CNN, CTV, and Global TV on psychological topics. He has also been interviewed and consulted by major newspapers, including the New York Times, the Financial Post, the National Post, the Toronto Star, the Vancouver Sun and the Peterborough Examiners. He is cited by more than 6,000 websites internationally. Dr. Wong is a Fellow of both the American Psychological Association and the Canadian Psychological Association. He is the Founding President of the International Network on Personal Meaning, and the International Society for Existential Psychology and Psychotherapy. He has served many government agencies, such as National Institute of Mental Health (NIMH) in Washington, DC and the National Advisory Council on Aging for the Ministry of Health in Ottawa. Dr. Wong was the Founding Pastor of the Chinese Gospel Church in Toronto. He has spent more than three decades ministering to refugees, foreign students and new immigrants. He has contributed many articles to Christian publications and spoken at pastors’ conferences. He enjoys mentoring young pastors. Currently, he devotes most to his time to writing and to private practice. He and his wife maintain a private practice through the Meaning-Centered Counseling Institute, Inc. (MCCI). They offer professional training and supervision for those interested in Meaning-Centered Counseling and Therapy (MCCT) – an integrative, positive and existential approach to therapy. Dr. Wong's upcoming book The Human Quest for Meaning: A Handbook of Psychological Research and Clinical Applications, 2nd Edition available from Routledge. The early article mentioned on the podcast: Wong, Paul T. P. (1997) "Meaning-Centered Counseling: A Cognitive-Behavioral Approach to Logotherapy," The International Forum for Logotherapy 20, p. 85-94.